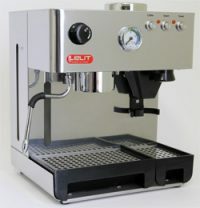 The Lelit PL042EMI, also known as the Lelit Combi is an excellent machine for the home user. Build quality is a real feature of this machine as exemplified by the full stainless steel body, brass boiler and 3 way solenoid valve. 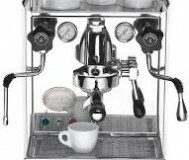 The Combi also has a built in burr grinder, pressure gauge and large drip tray. 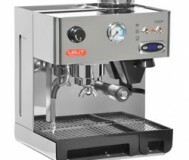 Now also featuring an upgraded steam valve!